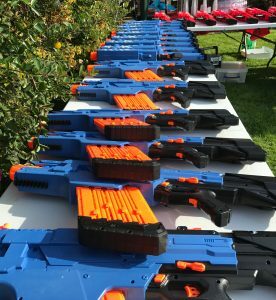 Nerf Rival Khaos MXVI-4000 blaster, Red or Blue, rapid-fire blasting with this fully motorized Nerf Rival blaster that fires 40 high-impact rounds at a velocity up to 100 fps (30 mps). The Khaos MXVI-4000 comes with 40 rounds and has a trigger lock, tactical rails, ambidextrous magazine release, easy-load magazine, and flip-up front and rear sights. Flip-up front and rear sights. Also released last week is the Mega Mastodon, the beast of beasts in the NERF world of blasters. 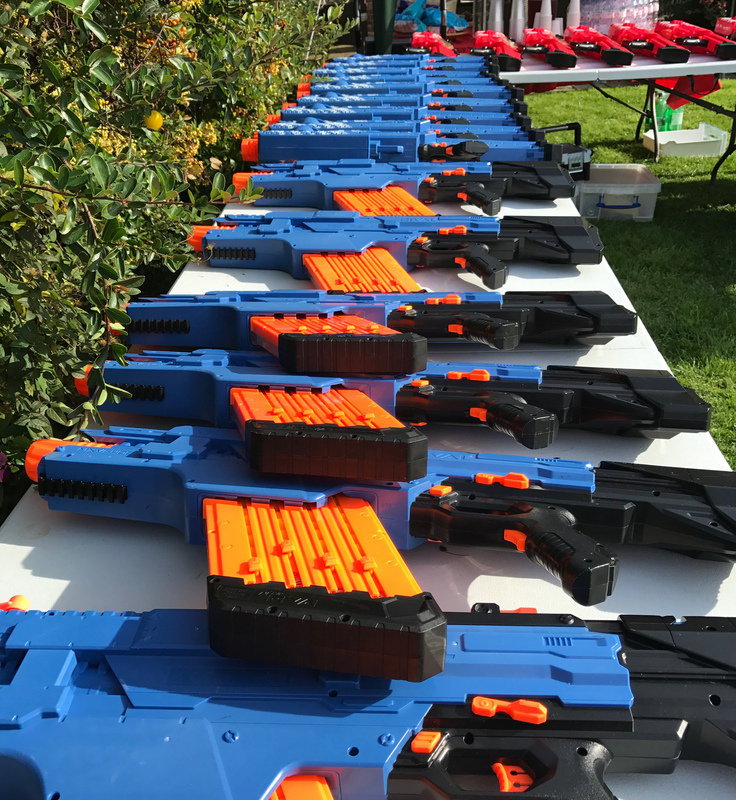 At Mega Blaster World we stock all the latest kit for all our NERF parties, don’t miss out, its blast or be blasted, watch-out.